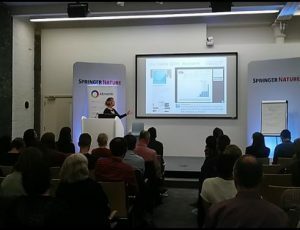 After an encouraging and exciting conversation with Natalia from altmetric about how we can use the altmetric data to communicate our Stirling research outputs, I was invited to speak at their annual user group in London. As one who is always keen to promote Stirling and its fantastic research, I jumped at the chance. NB post has been updated to include the slides from the session. First things first, what is altmetric? Altmetric is a tool that is part of the altmetrics family – alternative metrics which track the attention research outputs are getting online and through social media. There are a number of tools available including plum analytics and research impact but the university subscribes to altmetric – which means you can fully explore their database. Otherwise, altmetric data is free to everyone but in a limited form, without subscription access you only get the last four mentions in each weighting. The subscription allows you to see the full picture! Alternative metrics demonstrate the attention your output (& others) is having online, including Twitter, Facebook, news outlets & Mendeley. 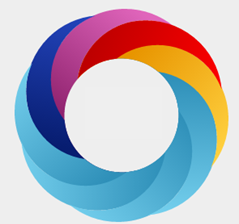 The altmetric explorer for institutions provides you with your overall altmetric score (in the donut) and then through the data, illustrates the mentions that make up your score. The explorer also demonstrates how your output compares to others from that score, year, etc which can be useful comparison and valuable evidence to demonstrate the impact your output is having. You can learn more about altmetric on our webpage, in a presentation by Clare and Fiona and through the Information Services webpages & accompanying user guide Top 5 things to do with Altmetric (for researchers). Stirling’s outputs with the highest altmetric rankings are also listed on the main Research webpage. Almost ready to kick off #altmetricon16! Hosted in the stable buildings at Trematon Walk, entering the event I was greeted by a large plastic horse with ‘a runaway horse’ printed on its body and conversations regarding the location of Elsevier’s corporate office in amidst kooky, quirky Barbican. A full day of presentations was on offer at #Altmetricon16 – follow the conversations on Twitter – even involved an imaginary ORCID with a symbolic ORCIF in the form of a beach ball being thrown into the audience by Simon Porter of Digital Science. The standout presentations for me included visualisations with altmetric data by Matt MacLeod at Altmetric who discussed the coming developments in the altmetric database and demonstrated the epilepsy attention explorer which tracked and compared article data regarding epilepsy and its corresponding journals as a way that the database will be developing. The other standout presentation was by Dr Sumi David who is the strategy and development manager at AHRC. Dr David said that, while altmetrics provide useful data, give meaning to stories and can start conversations, there is limited scope for their appropriateness in the arts and humanities. Therefore, until monographs, books and other outputs beyond publications become tracked in altmetrics databases, arts and humanities are less able to take advantage. The presentation touched on the current funding environment for the AHRC and the challenges they face, and the audience were told that “despite making up 31.5% of the UK’s research community, the arts & humanities only receive 3% of the funding budget. Add social sciences into the mix to make up 52% of the research community and the numbers are only marginally better with 9-10% research budget, leaving a vast group of people who might be disadvantaged”. Dr David also referred to the global challenges research fund, noting that previously AHRC had never had international development funding. It was considered that the discipline could lead and provide expertise on the following topics: conflict & humanitarian action, creative economies, culture & heritage. My presentation ‘Communicating research with altmetric data: A university of Stirling case study‘ was on the ways in which we are communicating our research with altmetric data at Univeristy of Stirling (UoS). Motivated by our strategic ambitions, we are committed to providing high quality tools to our researchers and to research with impact, Stirling made the altmetric explorer subscription live in October 2015, and research librarian Clare Allan hosted a number of activities to spread the word and drive the uptake of the altmetric subscription within our research community. My own journey with altmetric data began back in July 2016 when Clare and I delivered collaborative training on social media and altmetrics at the Health Sciences RMS day. Following this, we recognised a fantastic opportunity to generate content from the altmetric data in our research communications and to encourage our research community to explore our altmetric subscription. In October 2016, we started tweeting articles that had been mentioned in the past 3 days / 1 week, an activity which allows us to proudly showcase some of the attention grabbing research taking place at Stirling. At the University, we are currently using our altmetric data on our research webpages, institutional repository and to tweet particular articles on a regular basis. We are looking at ways to extend this, thinking about how altmetric data can be used in reporting, email signatures and in our further developments of our research management system. People were surprised I was not in a formal communications role at my institution and noted that staff from the research funding, policy and systems teams were playing an active part in research communications. We discussed the benefits that we at Stirling have seen from our communication activities, and how we can ensure we produce regular content. There was lots of discussion following my presentation and encouragement for what we are doing at Stirling. It was nice to hear members of the audience explaining that our activities would encourage them to have discussions about research communications in their own institutions. 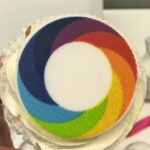 The day was completed with some round-table discussions about person-level and journal-level information – our creative juices aided by the very tasty altmetric cupcakes! Followed by drinks and a chance to meet the team at Altmetric. 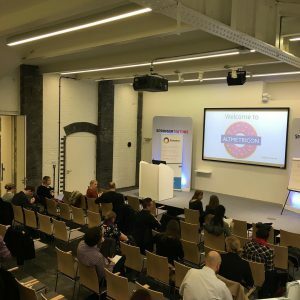 All in all, a fantastic day hosted by Altmetric and a great opportunity to discuss research with a number of interested and involved stakeholders. I look forward to taking our altmetric communications further in the Research and Enterprise Office. If you want to know more about how you can explore your altmetric data look out for roadshows that Clare Allan and I will be doing in the new year or send us an email and we can come and have a chat with you one to one. Until then, have fun exploring your altmetric data. A link to all of the presentations from the day can be found here.